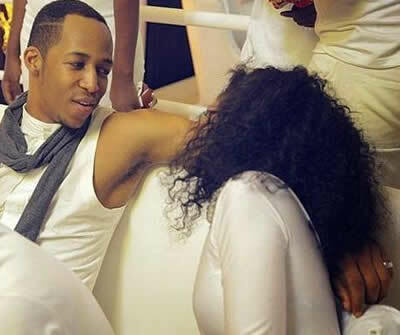 Is Former Big Brother Africa Hotshots winner Idris Sultan cheating on his girlfriend Wema Sepetu? Has he found solace in another lady’s arms after learning of the deaths of his unborn twins? Apparently Idris was raving at Sky-Night Life in Dar es Salaam on the night of Valentine’s Day with sizzling hot Bongo actresses, Elizabeth Michael ‘Lulu’ and Rose Peter ‘Muna’, when he received bad news about the loss of his unborn babies. Bongo Movies, a site about Tanzanian thespians, says Idris cried like a baby when he heard Wema Sepetu had a miscarriage. The former BBA winner found solace in Muna’s arms and stopped crying a few minutes later. Idris’ grief evaporated the moment he landed in Muna’s arms as Bongo Movies says Wema Sepetu’s boyfriend was full of joy when he was chatting with Muna and Lulu while seating close to each other. “Akiwa ameketi ‘veri klozi’ na Lulu, Idris alionekana kuwa mwenye tabasamu ‘baab’kubwa’ ambapo wakati wote vilisikika vicheko, ikiwemo kunong’onezana mara kadhaa, jambo lililosababisha baadhi ya wadau kuhojiana kama Idris amehamishia majeshi kwa Lulu au la.” (As he was seated with Lulu, Idris was full of joy bursting into loud laughter throughout making other revelers wonder whether he had transferred his grief to Lulu. )” Bongo Movies reported. Bongo Movies says Idris got out of the arena alone only to be followed by Lulu and Muna shortly and then they disappeared from Sky-Night.